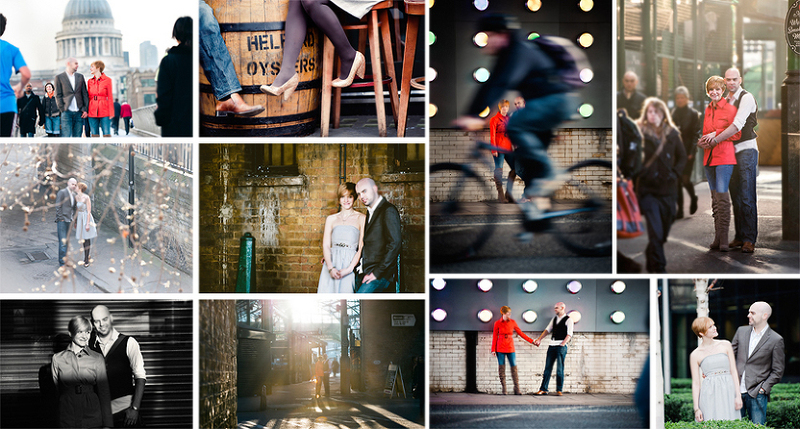 It’s not a secret that I looooved doing this February engagement shoot for this American-English couple. 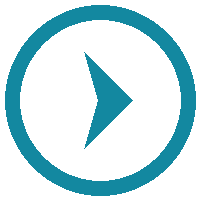 I absolutely enjoyed hearing all the ideas they had during our pre-meet, setting out to find locations that where so London – but not the typical “touristy London”, more of an off the beaten track London, with quirky and hidden locations… and with only some elements of London landmarks. So I’m glad that Zank you Magazine have found the shoot and decided to publish it on their blog – as inspiration for couples planning on wedding portraits with a feel of vintage or quirk in this lovely city, and for e-shoots planned to this time of the year: While the leaves are still off and the low sky light on a sunny day is crisp and clear and absolutely gorgeous. Thank you to Veronica at Zank You Magazine for the feature! 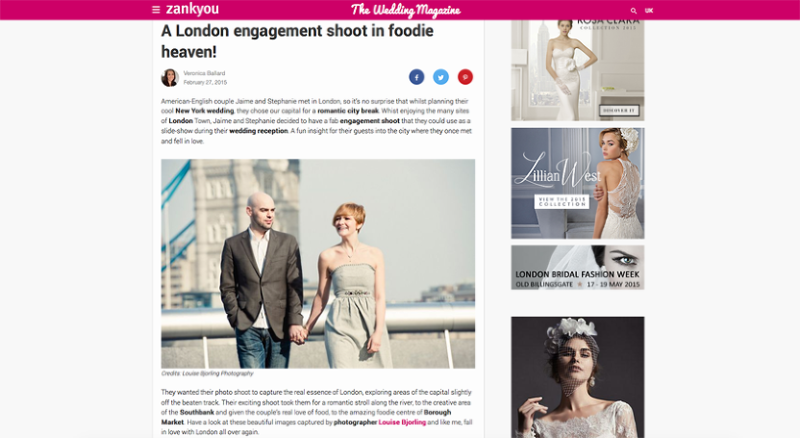 A London E-shoot that I recently photographed, has just been featured by Zank You wedding Magazine. 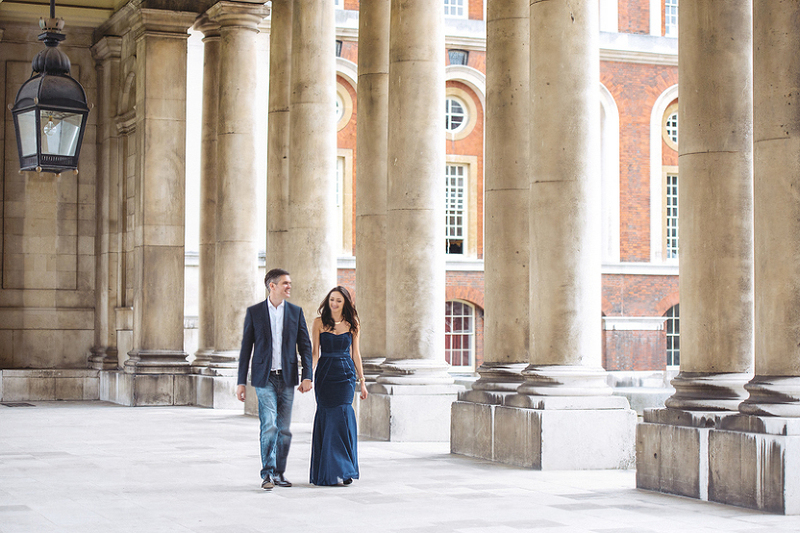 I met with Josh and Ewa on a gloomy autumns day – the kind of gloomy that makes London atmospheric – in Greenwich, where we started their London E-shoot before exploring our way down the Thames. A celebration for their wedding to come, in the city where they totally randomly met. Just a few of my favorites . 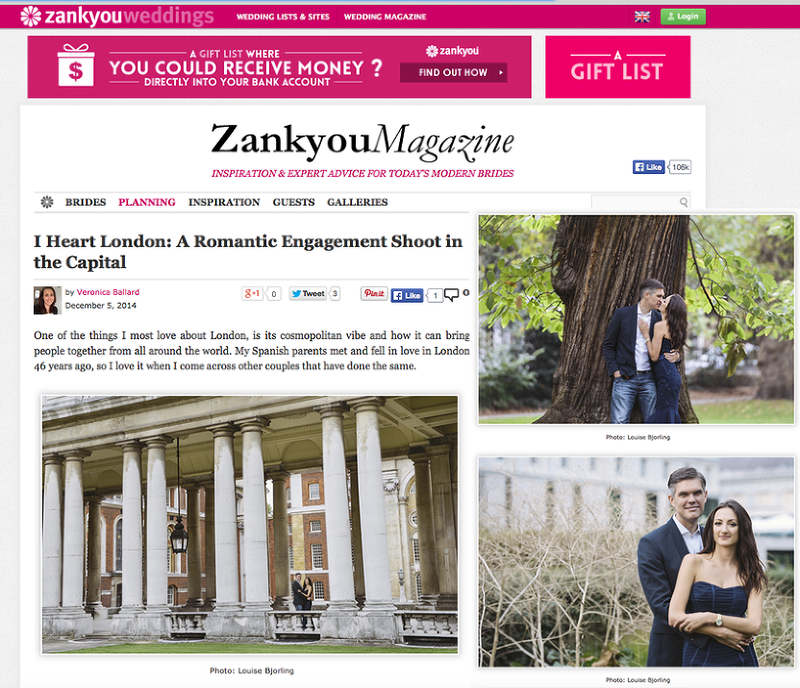 . .
More can be seen in their feature on Zank You wedding Magazine. Thank you to Veronica at Zank You, the feature looks great. And congratulations to Josh and Ewa for the feature – and for getting married! I love the yearly shoot with this family. It was the third time that I got to go to South London just when the leaves are turning in to all the colours of autumn, for a shoot with this family. Usually the shoot centers around their boy, who I’ve seen growing up from being a toddler in to a school boy, through the lenses of my camera. And he’s always venturing and exploring – this year he was making apple juice (and it tasted amazing), baking cookies, and sweeping around the Common down in Wimbledon, dressed in his Captain America jacket. But something extra special had happened just in time for the shoot this year… The family had just had a little girl! Children portrait photography – two cheeky brothers!